Nothing is sacred in the path of gold miners in northwestern Honduras – not even the dead. A transnational mining company, Aura Minerals, has been digging up graves in the 200-year-old cemetery near the community of Azacualpa, La Union, to clear the way to dig for gold. 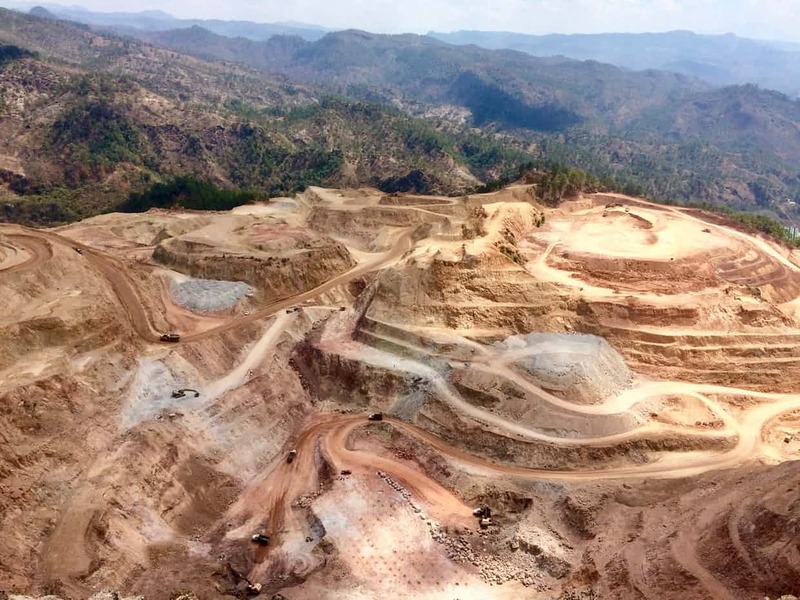 As many as 350 bodies have reportedly been exhumed by the company’s Honduran subsidiary, Minerales de Occidente (Minosa) since the process began last fall. The issue has divided Azacualpa, a coffee-producing community perched near the edge of the decades-old San Andres open-pit gold mine, and opened up rifts within families. Some residents fear the graveyard is the last line of defence before the Canadian-listed company will eye the community as its next extraction site. Genaro Rodriguez, a 60-year-old construction worker and coffee producer who lives in Azacualpa, hopes a legal challenge will put a stop to the debacle – a court has ordered a temporary halt to exhumations pending further investigations. “What we want is for the cemetery not to be touched,” Rodriguez said. In the cemetery, about 50 meters from where the carved-out mountainside plummets into the mine, damaged tombs indicate that some coffins have already been removed. Floresmira Lopez recently stood at her father’s grave and blocked workers from taking his remains. She blames the mining company for stress-induced health problems as well as family conflicts that have erupted over the grave-digging. The exhumations have roots in a 2012 agreement between Azacualpa and Aura Minerals’ Honduran subsidiary, Minerales de Occidente (Minosa). The agreement promised a housing relocation project for 400 families in exchange for permission to mine a handful of sites, including the hill where the cemetery sits. An addendum to the agreement gave individuals the right to agree to the graves of their relatives beings dug up, allowing the company to exhume remains with a single relative’s consent. Entire families are said to have wound up at odds with each other. Miguel Lopez, president of the Azacualpa Environmental Committee, accused the company of taking advantage of poor residents and exploiting the “love of money” to manipulate and divide the community. Some residents who have consented to exhumations have received letters setting a date and promising a cheque if they show up at the cemetery to “accompany the process”. One Azacualpa resident, who declined to give her name, confirmed she received a second instalment of compensation the day her husband’s remains were carried out of the cemetery. Payments are described as being in lieu of the housing project, not redress for digging up the deceased. The addendum sets February 2019 as the deadline for the third and final instalment, but also says payment will be contingent on clearing the cemetery. Bersy Rivera, a single mother and one of the plaintiffs listed on the recent legal action, believes the company aims to negotiate “packages of the dead” to exhume as many corpses as possible in exchange for a single housing compensation deal. 85-year-old Salvador Garcia, for example, faces pressure to authorize exhumation for his three children and parents-in-law. But he is only willing to sign off on his children’s remains, saying he doesn’t want to spark problems with his in-laws’ grandchildren, who oppose exhumation. Mayor of the municipality of La Unión, Victor Hugo Alvarado, who in last year’s election unseated the mayor who had cut Azacualpa out of the municipal budget, believes both sides failed to clarify the details, leaving the agreement “very open” to confusion and conflict. Aside from the exhumations, local residents accused the mine of having adverse health and environmental impacts. Minosa declined to comment on the suspension of the exhumations and allegations of manipulation and non-compliance with agreements. The parent company Aura Minerals did not respond to repeated requests for comment. In recent months, the exhumations have taken place against a backdrop of a worsening state crackdown on social movements, amid protests against alleged election fraud, including evidence of extrajudicial killings, according to the United Nations. President Juan Orlando Hernández’s re-election solidified an economic model, ushered in through the 2009 military coup, that champions pro-extractive industry policies. Minosa paid over CAD$12m (£7m) in taxes and fees in Honduras in 2016. 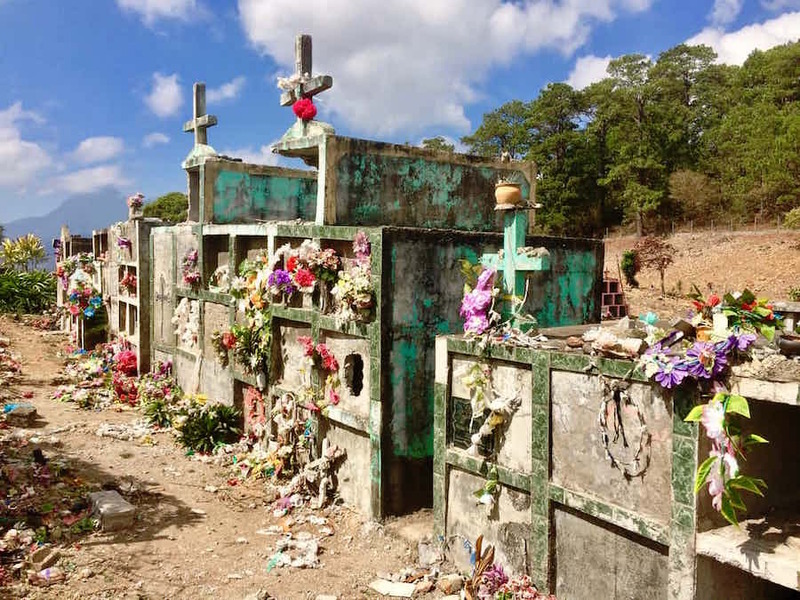 Plaintiffs in Azacualpa are pursuing further legal action to protect the cemetery by seeking to nullify the 2012 and 2016 agreements. Ramiro Lara of the Association of Non-Governmental Organisms of Honduras (ASONOG) expects the case to expose “irregularities” in the signing of the accords and the exhumations. Mine activity in the Pine Cove Pit finished in the middle of March, and the Company has commenced planning for pushbacks for the Pine Cove Pond and the North West Extension to the pit, which are expected to contribute ore in 2019. The Company is now converting the Pine Cove Pit into a fully-permitted in-pit tailings storage facility, which has approximately 15 years of capacity based on a throughput rate of 1,350 tonnes per day. Anaconda expects to begin tailings deposition in the third quarter of 2018.